Shabby Chic at its best! 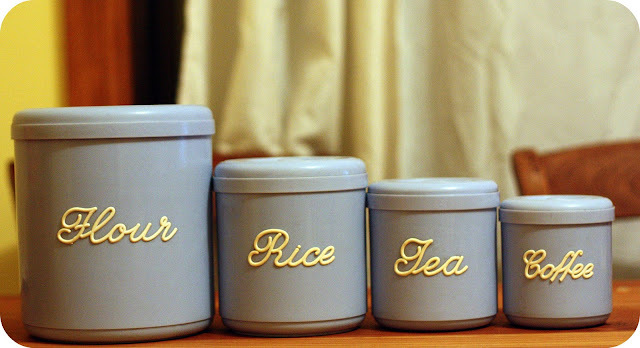 Cool Canisters! ok the set of 4 whats missing if there is meant to be a 5th? Sugar is missing between the flour and Rice. Doh! Love it! Looking forward to a great read! Oh man, I love canisters! I am looking for something large for my dog food right now. I just don't want writing on them. I wish my local op shops had as much cool stuff as you find. 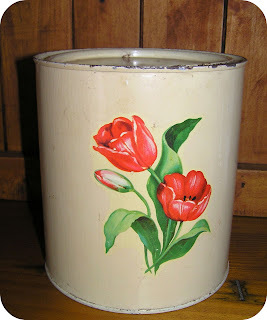 I would never have noticed the missing cannister if you hadn't pointed it out! Wonder where it could be? those grey cannisters are breath-taking!!! Love your collection & welcome to the pyrex collective II. I look forward to browsing your blog often! 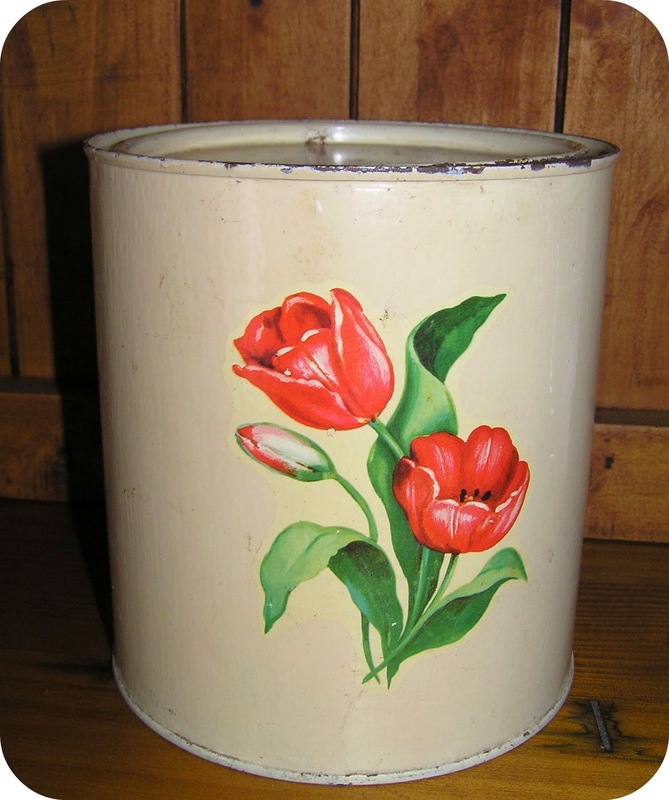 I am a relative new comer to Nally Ware, I stumbled upon a lonely biscuit container at my local op shop recently (hello $2!) and have been in love ever since. Thanks for a great read!